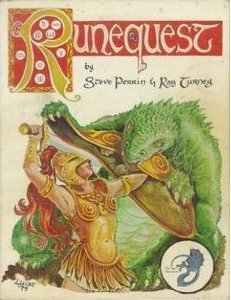 The world of RPG over the past 40 years has grown to become much more mainstream than it was when I started playing. Fort Polk, LA in late 1978 a small group of guys in the barracks on North Fort were playing D&D. I happened upon the group and watched from the sideline. I wondered to myself was this a new game or was these guys all having some kind of breakdown therapy. I was invited to join them an they explained with excitement how it was played. I actually passed on it and went for a motorcycle ride. I arrived in West Germany in January 1979 to the city of Bamberg. After a few months of staring at the walls in the barracks I went to the recreation center. This place was crawling with board games, miniatures and of course RPG players. I now took an interest in learning this game called D&D. After learning how to play I found other games like Gamaworld, Metamorphisms-Alpha, and Traveller. As a group we played through the different systems and then AD&D hit the scene. I bought each new book as they came available and we all had ton's of stuff from Judges Guild. 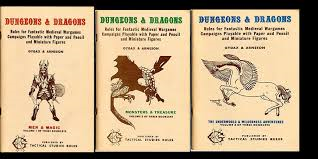 In addition I bought all the three books "All the worlds monsters 1,2,and 3" The Chaosium was top dog cranking out stuff along with TSR . I then went down the path to Runequest and only a few followed my steps. Our Traveller group however grew and grew. When you got a bunch of young soldiers sitting around you have a ready made group for RPG. I had as much fun creating characters as I did playing and adventure. I began to DM and GM several games over the next few years. Chapter 1 - Lost in Space and Time The void of space was endless to the scanners with the exception of the asteroid belt at the edge of the scanning range. The on board flight control system had abruptly aborted the Faster than light jump due to an unknown error and shut the engines down. The ship was now gliding on the path it would have been heading on anyway. The crew was still in cryogenic sleep and only the automated systems were aware that there was a problem.